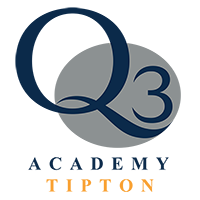 We, Q3 Academies Trust, are the ‘data controller’ for the purposes of data protection law. Standard internet log information, used by Google Analytics. This information is stored on our internet hosting provider’s services, further details about their policy can be found here. When someone visits one of our Trust’s websites, we use a third party service, Google Analytics, to collect standard internet log information and details of visitor behaviour patterns. We do this to find out things such as the number of visitors to the various parts of the site. This information is only processed in a way which does not identify anyone. We do not make, and do not allow Google to make, any attempt to find out the identities of those visiting our website. Google’s privacy statement on the use of analytics may be accessed here.